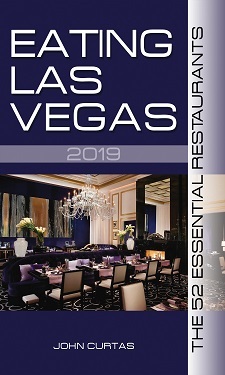 Eating Las Vegas knows not whether Lola’s has a new chef, new recipes, or just started listening to him last year. It really doesn’t matter. What does matter is the whole operation seems smoother, more professional, better organized and a whole lot tastier than it was when this joint first opened. The gumbo and étoufée taste like they’re supposed to — rich with roux, raw ingredients and plenty of seasonings — the andouille is the real thing, and the red beans and rice would do any Cajun proud. If you want us to get all restaurant critic-y on you, we’ll admit we prefer our roux darker and everything a whole lot spicier than they prepare it here, but concessions have to be made when feeding the public at large, so it’s understandable why they tone these things down a bit. The fabled “French bread” of N’Awlins still tastes, as Alan Richman says: “…like cotton with a crust,” but it does the job when it comes to soppin’ up all that good sauce. There’s also another reason to get your Cajun fix here: Lola’s white peach melba shortcake is worth a trip all by itself. Our lunch bill for two was picked up by Juvenile Court Hearing Master Thomas Leeds (thanks Juvenile Court Hearing Master Leeds! ), but he can tell you the main dishes here run around $12-$15 each. You finally post a positive review of a locals restaurant and nobody replies?! ?